Steps for determining the cost of going solar. a) How much energy your home or business requires. The more energy you require the more solar panels you need and the higher the cost of installation. Nowadays the advantage many homeowners or businesses have is that the cost of the solar panels used has been dropping every year, for instance the average solar panel cost has gone from $76.67/watt in 1977 to just $0.613/watt today. Therefore, the technology to harness solar power of the sun is relatively cheaper than it was several years ago. b) The government offers rebates to shoulder a portion of the total solar panel cost or system cost. The state governments offer tax rebates and this amount of tax rebate vary from state to state. c) Depending on your tax appetite, you can qualify for tax credits. The solar Investment Tax Credit (ITC) offers a 30% tax credit for solar panel systems on residential and commercial properties and is used by the government to support the deployment of solar energy in the US. The ITC was to expire by the end of 2016 but was extended and it will now expire in 2021 to allow for businesses and homeowners to switch to solar panels at an affordable cost. All of the above factors or considerations affect the solar panel cost or the cost of your installation. Currently, the average total cost of solar panels installation is estimated at $3750 to $4000 per 1kW system. This equates to $3.75 to $4.00 per Watt. An average solar panel system for an American home is between 4kW and 8kW. Thus, solar panels installation can cost from $16,000 to $32,000, before rebates and tax credits. To determine the actual money you would pay for your solar panels system, it is best practice to consult your personal tax advisor as the rebates varies from state to state while the 30% ITC depends on your tax appetite. However, it is possible to reduce the solar panel cost by upto 50% of the total cost after applying state rebate and the 30% ITC. In that regard, the above solar panel cost can be reduced to between $8,000 to 16,000 for a 4kW and 8kW solar panels system, respectively. Again, these are rough estimates just to give you an idea of the cost of installing solar panels system. They do not represent real figures. 2. Are solar panels worth it? What monthly savings would you obtain from your solar panels system? Once you have figured the solar panel cost of your system then you want to determine how much energy savings or money savings you can achieve with your new solar panels system. To do this, below are the six easy steps to give you an idea of the savings you can achieve that will help to answer the question: Are solar panels worth it? You may have your electric bill records and you can derive this information from your total annual bill or if not available, you may call your electric company to get this information. This information is necessary as this provides you with a picture of your energy consumption profile and most homeowners consume around or between 600 and 1200 kilowatt-hours per month. However, this is an estimate and you may want to determine the average electricity in kWh that you consume per month. This information is usually provided by a solar contractor, but for estimates purposes, we could estimate the output of the average system in America, that is 4kW system, but the output varies from location to location while site considerations or assumptions vary from site to site. Site information for example how much solar irradiation is available in a certain place can be obtained in US solar maps available here which also factors in the information of how the solar panels are mounted or orientation of the solar panels in relation to the sun. For example, if we assume your location that you plan to install your solar panels receives on average 5.3 hours of sun per day and assume that the solar panels are mounted at latitude on a fixed mount on a roof. This implies that we will multiply the 4 kilowatts per hour output from the panels times the 5.3 of solar or sunlight per day to get an output of 21.2 kilowatt hours per day and when we multiply this number by the number of days in a month, this results to 636 kilowatt hours per month (4kW x 5.3 sun hours x 30 days = 636 kW hours per month). However, this figure is adjusted to real solar situations as solar panels are rated under ideal or lab conditions which don’t reflect real application conditions in the field. Therefore this figure can be reduced by 20% to result to 636 x 0.8 = 508.8 kW hours per month to adjust it to real applications in the field. Since you already know your average energy consumption from your annual bills from your electric company, it is now simple to estimate what percentage of your energy requirement can be replaced by your new solar panels system. In this regard, if we assume that your monthly electric energy consumption is 743kWh of electricity and your proposed solar panels system as derived above will produce 508.8 kWh per month. Then this implies that you new solar panels system will replace up to 68% of your current energy requirements. The remainder which is 32% will be covered by your electric company. The only information we need here to determine how much you can save by switching to solar panels is the information about how much your electric company is charging you per kilowatt hour. This information can be obtained in your monthly power bill. For instance, if you are paying $0.12 per kilowatt hour and your monthly electric energy is 743kWh then that equals to $89 per month energy bill. Since you have installed your new solar panels system and is saving you up to 68% of your energy requirements, then the savings assuming you bought your system cash or under a solar PPA, will equal to 68% x $89 which is equal to $61 per month solar savings. In a year these solar savings translates to $61 x 12 months which is equal to $732 in energy savings. You can learn more examples that are specific to your location, roofing, solar shade or sun orientation by simply clicking here. Here you will also learn how much energy you can produce, money you can save and good you can do by installing solar panels on your roof! You do not have to follow all the above five (5) steps to determine your solar savings, including your payback period. 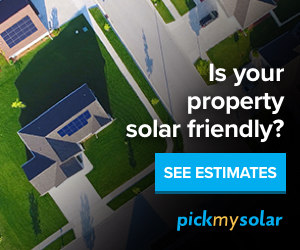 When you click the banner or the link above and enter your address, it will provide you with your estimated money savings or how much you can save, including financing options and how much carbon you can reduce by switching to solar panels. It provides a detailed savings analysis, including an estimated payback period. The tool will provide you solar panel financing. The most common solar panel financing option is solar power purchase agreement (Solar PPA) that gives you the option to go solar without any money down. Learn more about solar PPA here. The tool also gives you other solar panel financing options such as cash, loan and solar lease. Solar lease and solar PPA operate in the same manner and have the same features, such as a term, solar without any money down etc. Learn more here about solar panel financing. In rural regions, the solar panels encourage power once more into the fundamental matrix utilizing an inverter which is associated with your power meter. If you create more power than you are utilizing, then your extra electricity power is sold back to the power supplier for about double the amount you purchase it for. With regards to finding the solar panels, the rooftop ought to face north or close to north to get the greatest daylight. With regards to where solar panels should face, it depends with the location of the solar user or where the solar panels are placed. Yes, the solar panels should be placed in the direction where they will receive as much daylight as possible and the rule of thumb is solar panels should always face true south if you are in the northern hemisphere, or true north if you are in the southern hemisphere. For more details, you can read more at http://www.solarpaneltilt.com. Please feel free to comment and thanks again for your comments that help to shade light for consumers that might be looking for such information. I am happy to know you found this blog useful and the blog is user-friendly. You are welcome and please feel free to ask any questions you may have. Thanks again for your positive comments.